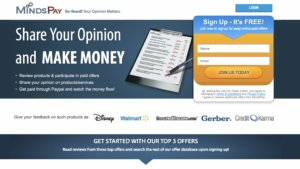 I’m not sure there is a better way to make money online than with paid surveys. Here’s the thing – anyone can do them, they’re quick and easy to complete and you can literally start earning money straight away. I’m so glad I discovered them. Throughout my journey earning money with online surveys, I’ve realized not all survey sites are created equal. Some pay you for your time with physical goods, some offer prize draws, some offer gift vouchers, and some (not all!) offer cash. My main priorities were to find the highest paying online surveys on sites that pay cash via PayPal. This is the easiest and safest way to get paid for surveys. You’ll be glad to know that a lot of sites offer this. As there are so many survey sites out there, sifting through them to find the diamond in the rough can seem a near impossible task. That’s where I can help. 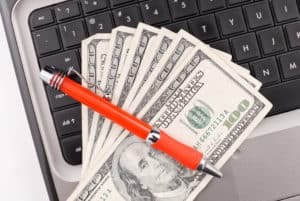 From my own experience earning money with paid surveys online, I’m here to show you where you can find the best surveys that pay through PayPal so you can get paid REAL cash for your time! These are all legit online surveys that pay through PayPal that you can sign up to and start earning money right now. 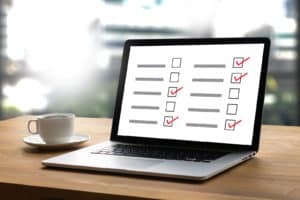 Before I list the sites where you can do online surveys for PayPal money, I want to cover how these sites work and my tips to help you earn the most possible. Have limited time? Find the top survey sites that pay Paypal money in the table below. Survey sites that pay through PayPal are appearing more and more, as many organizations see them as the perfect way to conduct market research to test products, ideas, views and beliefs held by members of society. If you’ve ever seen a statistic quoted such as “22% of Americans believe…” and wondered where they got that info, there’s a good chance an online paid survey was responsible! The biggest incentive these sites can offer is cash for your time, but why would you want to get paid through PayPal for surveys? It’s simple. PayPal is a huge site with extremely good security around it. It’s free to use, payments can be made instantly online and you can even transfer cash straight into your bank account. Plenty of sites also accept PayPal as a payment method so you can use your PayPal survey money any way you please. It’s a good thing that the majority of sites that pay cash enable you to get paid to do surveys through PayPal, giving you peace of mind that you’re doing legitimate paid surveys. You should note that not all surveys that pay through PayPal pay instantly – most sites have a payment threshold you must meet before you can be paid (you’ll see these listed in the table). You can find the fastest paying survey sites here. This means you can only get paid after you have accumulated a certain amount from paid surveys. Some surveys that pay cash through PayPal instantly, others can take up to 4 weeks or longer in some cases. Personally, I’ve never waited longer than a couple of weeks for a paid surveys PayPal payment to be processed. There’s often no explanation as to why some people get paid for surveys on one site while others don’t. I’ve listed the sites in my reviews based on the success rate I’ve had, but you may have a different experience. You’ll only know what a site can offer you by signing up. Plus, you’ll have more opportunities to earn more, and with sites offering surveys that pay you through PayPal from $1 to $10 per survey, the sky is the limit. Every site is different, and every site lets you accumulate points and use them differently. Understanding the points system means understanding how the site works itself. Some sites offer a loyalty system whereby the more surveys you complete, the higher your status and the more you’ll earn per survey. Plus, there can be thresholds relating to the withdrawal amounts of the site you’re using, delays getting points applied and other differences. To avoid undue stress and concern that what you’re participating in is a scam, first understand how the system works. You want to earn money from online surveys that pay via PayPal, so you need to put in a little effort. Nothing in life comes free! Doing online surveys for money is a super easy way to earn cash, but you still need to take it seriously. This means filling in all the profile information, taking up survey opportunities whenever they arise and being consistent and truthful with your answers. Your dedication and consistency will lead to better, more regular offers and enable you to continue to get paid to take surveys. Now that you understand what’s required of you, it’s time to learn what the best paid survey sites can offer you! I’ve listed the best survey sites that pay via PayPal in terms of my own success – how successful I’ve been doing surveys that pay via PayPal. Your experience may be different, and the only way to know is to sign up and try. When people ask me my top survey site that pays via PayPal, my answer is always the same – Swagbucks. It’s the site I’ve had the most success with, probably because it’s so fun and easy to use. What makes it one of the top survey sites that pay through PayPal is that there are loads of ways to earn money from paid survey, to watching videos, online shopping and more. Regarding the points system, Swagbucks uses SB (it’s namesake) which you can deposit into your PayPal account once you’ve reached the minimum threshold. The minimum threshold for PayPal redemption is 2500 SB. With so many ways to earn it’s my favorite site to use. I have a full Swagbucks review here. Another great site where you can do paid surveys with PayPal payout is Toluna. I love Toluna for several reasons. They have a really clear and easy to use interface, they consistently offer well paying surveys, and they give you points just for filling in profile information. They also have a great online community from all around the world and hold some of the best prize draws I’ve seen. Plus they have a survey apps that pay through PayPal too. The first surveys for money PayPal payment is available when you reach $30 in your account – or 95,000 points. However, what I don’t love is that there is sometimes a delay receiving payments. For me, it’s never been over a week, but their website states it can take up to 4 weeks at times. In the scheme of things this is just a small inconvenience as this is one of the PayPal survey sites that offers consistent and easy to complete surveys – I always have one waiting for me. You can sign up to Toluna here. 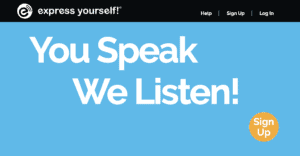 Ipsos i-Say was one of the first sites I signed up to and it took a little while to gain momentum. I’ve heard others having more success with i-Say early on. Now that I’ve been a member for so long, I receive consistent offers and have come to really enjoy using this site – it’s simple, the surveys tell you how long they’ll take, and they offer regular prize draws too. The site offers rewards with $15 PayPal survey payments being one of them! This requires 1530 points to redeem. $1 is equal to 100 points, so there is a small administration fee of 30 points, but it’s a small price to pay for PayPal online surveys. You can sign up to Ipsos i-Say here. LifePoints is another favorite site of mine to do a survey that pays through PayPal. In my opinion, it’s one of the best PayPal survey sites for simplicity and ease of use. What’s great about LifePoints is the wide variety of surveys. They are actually quite interesting and allow you to learn more about products, events and even yourself. The amount required to cash out via PayPal is $5 – so it’s not hard to get there. Personally I earn a couple of dollars per survey and can get several surveys a week, so there are times when I have made that money in a week. Between the good survey rate and the low cash out amount, I find it easy to stay motivated to complete surveys for PayPal money which helps me earn even more cash from surveys. 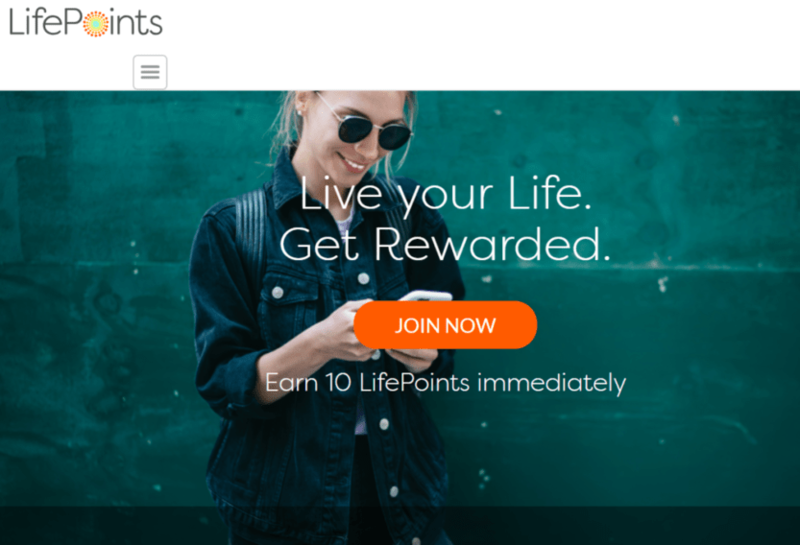 On the bonus side when it comes to making money online with PayPal surveys through LifePoints is that there are also additional ways to earn. You can do product reviews (and will get sent products to do this) or can do other tasks like keeping an activity journal. You can sign up to LifePoints here. Opinion Outpost is another survey site offering paid online surveys that pay via PayPal. It offers surveys, prize draws and an online community which allows you to feel like you’re part of something bigger than simply a survey company! Some of my highest paying surveys have come from this site. I receive offers emailed to me several times a week, outlining the length of the survey and how long it takes. You need 100 points to cash out via PayPal, and $1 = 10 point, so it’s a minimum cash out of $10. The best part of this site is that there’s very little delay in receiving payment, so if you want to do surveys that pay instantly to PayPal this is the site to do it. Payments are usually made within 15 minutes, and 48 hours at most. By most people’s standard this site offers surveys that pay instantly via PayPal. You can sign up to Opinion Outpost here. Another site I recommend is Opinion Bureau as they offer high paying surveys that pay through PayPal. Like the sites above, Opinion Bureau conducts market research for other organizations and pays you based on the time it takes to complete the surveys. Most of my surveys from Opinion Bureau have paid around $2 – $5, but I have received offers to complete surveys up to $10 on multiple occasions. You need to have $10 in your account to get PayPal money from surveys, so this could potentially be reached from one survey alone. You can also earn rewards from polls. Note there can be some delays in receiving rewards – up to 15 days to receive once they’ve been applied to your account. Click here to join Opinion Bureau. 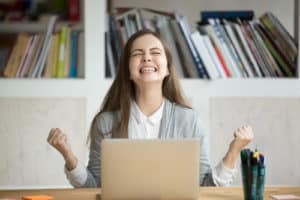 Survey Rewards – people either love them or hate them. For me, the relationship has been pretty good. I receive a lot of offers but in my experience, they don’t pay as much as other sites. However they are worth my time because of the following reason: they have no minimum threshold to redeem your cash. You can withdraw cash from surveys via PayPal whenever you want which is great if you’re looking for instant PayPal payout surveys. However, there is a fee to cash out. It’s only small, but it reduces the incentive to cash out frequently and when you have little money in your account. You can sign up to Survey Rewardz here. I’ve had great success with PineCone Research, and although there was recently some controversy regarding a third party site pretending to be them, the actual site as listed here is as legitimate as any in this list. They have a points system whereby 100 points is equal to $1, with most surveys paying anywhere between 100 – 500 points depending on length and difficulty. The site is also highly optimized for use on smartphones which means surveys on the go are easy to complete. You can sign up to PineCone Research here. In the list above, PrizeRebel has the most resemblance to Swagbucks, offering a range of methods to earn money beyond surveys like simply watching a video. Obviously, they pay for surveys via PayPal too. I haven’t been signed up long so I’m yet to pick up much momentum. However, I have received multiple offers so far. From what I gather, 100 points is equal to $1. Some users have reported surveys that pay instantly via PayPal, but times vary. The average withdrawal time is faster than most sites at just 24 hours. I also love the tracking system which allows you to see real progress. It’s an easy way to see how far you’ve come and whether the site is working for you. Definitely worth checking out! You can sign up to PrizeRebel here. 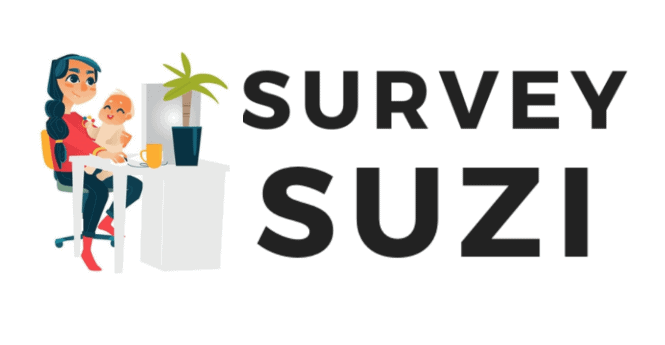 Although SurveyClub is a site still gathering members, it’s one that’s been around for quite a while. They frequently offer higher paid focus group opportunities in addition to online surveys for cash. This makes being signed up to the site and having email notifications set up important so you don’t miss out on opportunities. There’s a $20 minimum to receive funds via PayPal, and you get paid 10 cents even if you aren’t approved to participate in a survey. You can sign up to Survey Club here. E-poll quite literally relates to entertainment, so if you’re interested in sharing your opinion on shows, movies and other forms of entertainment, this could be a great site for you to make money taking surveys. 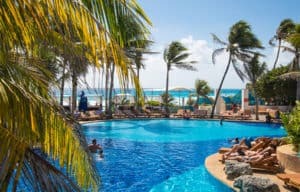 There are monthly sweepstakes in addition to offering surveys to make money, and payments can be withdrawn with just $5 in your account – this translates to 3,750 points. However, there is a huge waiting period – up to 6 weeks! Is it worth using this site to take surveys for money? If you enjoy watching and discussing TV shows, it probably is. It is for me! You can sign up to E poll surveys here. Survey Junkie is a trusted site and has been around since the early days offering surveys for PayPal credit. 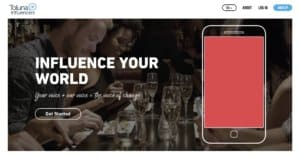 Along with a lot of positive feedback, the site has also accrued some negative feedback in that time, namely surrounding people not receiving their points. These appear to be isolated incidents though. The site is easy to navigate and you can do surveys for cash only. The payments are on par with most other survey sites out there, paying anywhere from $1 – $5 per survey. 100 points is equal to $1 and you need a minimum of 1000 points to make a withdrawal and do surveys that pay money through PayPal. Is survey junkie legit? In my experience the site is legit, but whether that means you’ll make a lot of money or not remains to be seen. The only way to know is to take surveys for cash and check it out for yourself. You can sign up to Survey Junkie here. MindsPay is one of the home grown survey sites that use PayPal and offer a few advantages to it’s members – namely, you get paid for signing up and you receive a commission for referring new members. But that’s where it ends for me. Why are they in list list? Because they do offer surveys that pay cash through PayPal and I know people who have had success with them. Unfortunately, they don’t have surveys that pay cash instantly and have a huge payment threshold of $50 per survey. This can take a long time to accumulate especially if your survey offers aren’t regular. I don’t think it’s the absolute top survey site to be signed up to, but since they do have special offers and legit surveys that pay through PayPal, it is worth being a member. You can sign up to MindsPay here. Another paid surveys site where you can do an online survey for extra cash is Mindfield Online Panel. With an older interface you may be forgiven for thinking this site is outdated – however, it’s very much up and running. You can earn points taking surveys with one of their payment methods being cash via PayPal. In addition to receiving money straight to your PayPal account, completing online surveys can earn you Amazon gift cards. I and others enjoy using this site precisely because you can do a PayPal survey $5 to earn money online instantly. There’s also quick ways to make money in addition to online surveys for money, such as participation groups where you can be paid up to $100! The site also has prize draws for $500 and offers money making apps so that you can still earn points on the go. You can also get paid $1 just for referring friends to the site. This is why I and many others love using this site for surveys that pay through PayPal! You can sign up to Mindfield Online Panel here. I hope you enjoyed my list of the best survey sites that pay through PayPal! 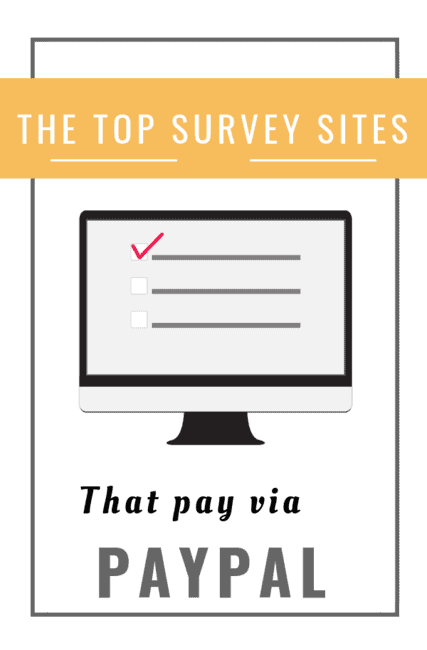 If you want to learn more about paid survey opportunities, you can read my new post about the highest paying online survey sites.